Russia’s role in Syria has led to calls for more sanctions against Moscow, but the deadline for deciding whether to renew the current raft of punitive measures is fast approaching. There are powerful figures on both side of the argument. EURACTIV’s partner Der Tagesspiegel reports. In the EU, a debate is raging about whether or not to impose new sanctions on Russia. Poland, as well as the United Kingdom, wants Brussels to impose new measures on Russia, in punishment for its bombardment of civilians in the embattled Syrian city of Aleppo. The issue is set to dominate a meeting of the bloc’s foreign ministers in Luxembourg today (17 October). as well as the full-fat Council meeting at the end of the week. After Russia’s annexation of the Crimean peninsula, the EU imposed sanctions on Moscow. The bloc has to decide whether or not to renew them in January. In the wake of an attack on a UN aid convoy at the end of September, near Aleppo, for which Russia has been widely blamed, a new set of sanctions could be levied on Moscow. This would require a unanimous decision by the member states. Luxembourg’s Minister for Foreign Affairs Jean Asselborn told Der Tagesspiegel that further sanctions against Russia will not be a part of today’s meeting’s final declaration. 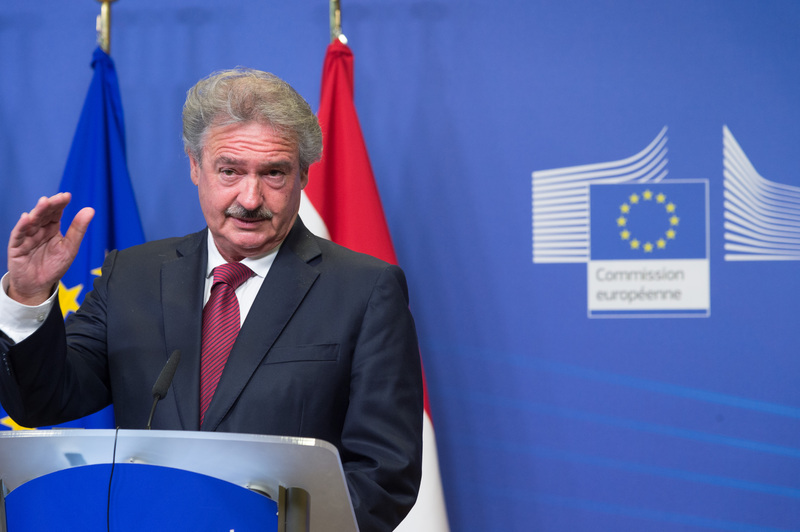 Asselborn claimed that punitive measures will do little to solve the Syrian conflict. “I don’t understand how sanctions are meant to contribute to a ceasefire in Syria,” he said. The Luxembourger added that monitoring the ceasefire in Syria would be more useful than more sanctions. Luxembourg’s foreign minister, Jean Asselborn, has called for Hungary to be thrown out of the European Union. EURACTIV Germany reports. Asselborn’s French counterpart, Jean-Marc Ayrault, has already spoken out against further measures against Russia. Ayrault insisted that the “only way” out of the conflict, which has lasted five years already, is negotiation. The previous ceasefire came into force last month, but collapsed after a short while. Since last weekend, the US and Russia, along with regional powers, have been holding talks in Lausanne, with the aim of crafting a new ceasefire. The Swiss meeting came to a close after four hours on Saturday (15 October), with little to show for their efforts. Russian Minister for Foreign Affairs Sergei Lavrov insisted that they would proceed “over the coming days”. Yesterday, Lavrov’s US equivalent, John Kerry, filled his European colleagues in on what had happened at the meeting. In a telephone call with German foreign minister Frank-Walter Steinmeier, both men were in agreement that despite the current difficult situation, all parties must continue to work towards a solution and a humanitarian truce. Additionally, aid has to arrive in east Aleppo, in order for the besieged there to receive valuable supplies. Berlin’s foreign office added that Syrian President Bashar al-Assad, “as well as his allies in Russia and Iran”, have a duty to broker a ceasefire. The conflict in Syria is only going to get worse. Middle East expert Günther Meyer explained to EURACTIV’s partner Wirtschaftswoche why Syrian dictator Bashar al-Assad must stay in power , how the US is primarily to blame and why a no-fly zone would be ineffective. German weekly Frankfurter Allgemeine Sonntagszeitung, on the other hand, reported that German Chancellor Angela Merkel will push for more sanctions at the EU summit, starting on Thursday (20 October). The newspaper cited sources that attested to Merkel’s alleged “displeasure” with the Russians. The EU should stop trying to endorse failed US foreign policies. 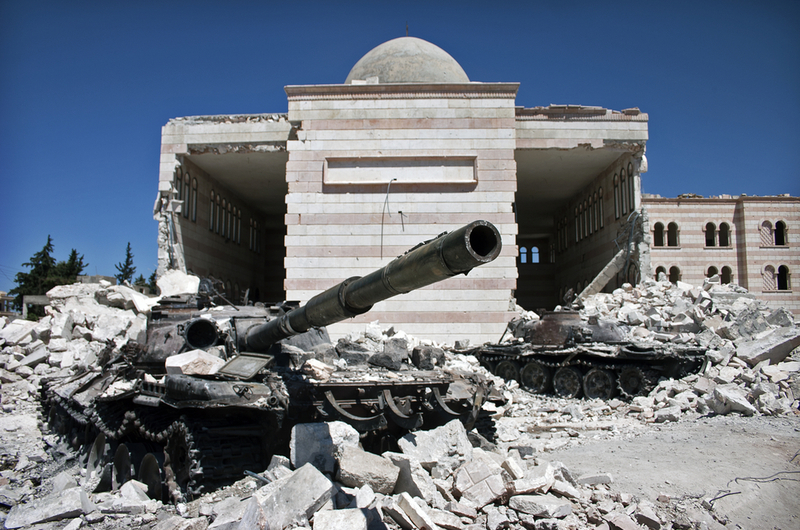 More sanctions on Russia will not improve anything in Syria. At least some people understand that. Furthermore, there is no way that “negotiations” can in any way offer a way out, or solution to the conflict. This is just fiction, and will enable the dozen or so of different groups who are all sworn to murder everyone who does not belong to them, to dig in deeper and to keep fighting. Even worse is the US deciding to supply the militants with more weapons, they are just pouring more oil on the fire. When the Russians re-establish the rule of law in the city, and evict the militants, then we can reconsider the sanctions, and if they fail we can punish them. But at thus point in time, the only way for this conflict to end is when there is just one party victorious, and that will have to be the regime. Gerry you are absolutely right !!! 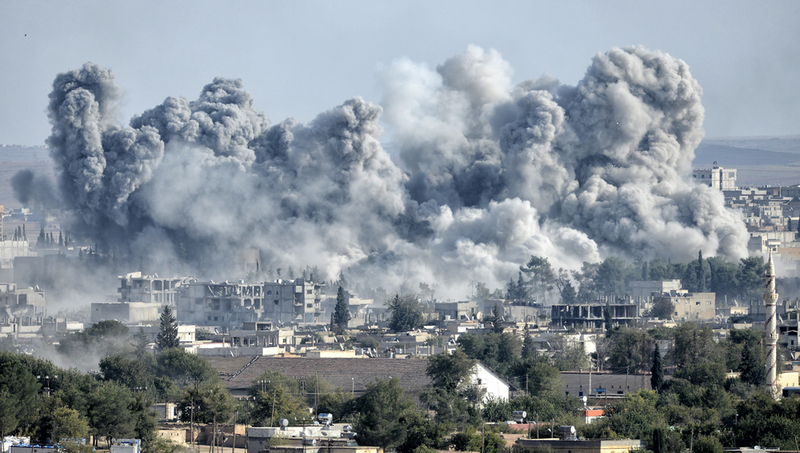 I do not believe that the majority of people know what this war in Syria is about . It is about a US , Saudi Arabia , Quartar , Israel plot to put a gas pipeline through Syria towards Europe , which Syria won’t allow . Take out Assad and change regime seems the only way .